All snow related goods are now 40% off! Time to upgrade your gear. 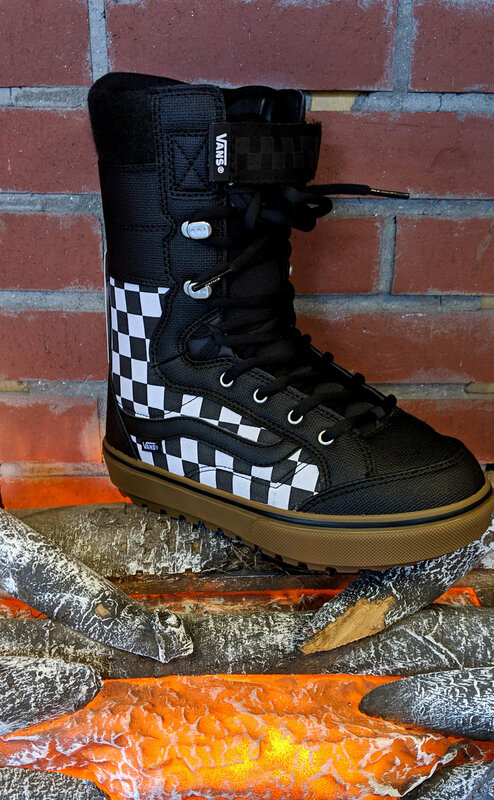 Linerless boot that flexes like no other! Core shop exclusive green on blue! 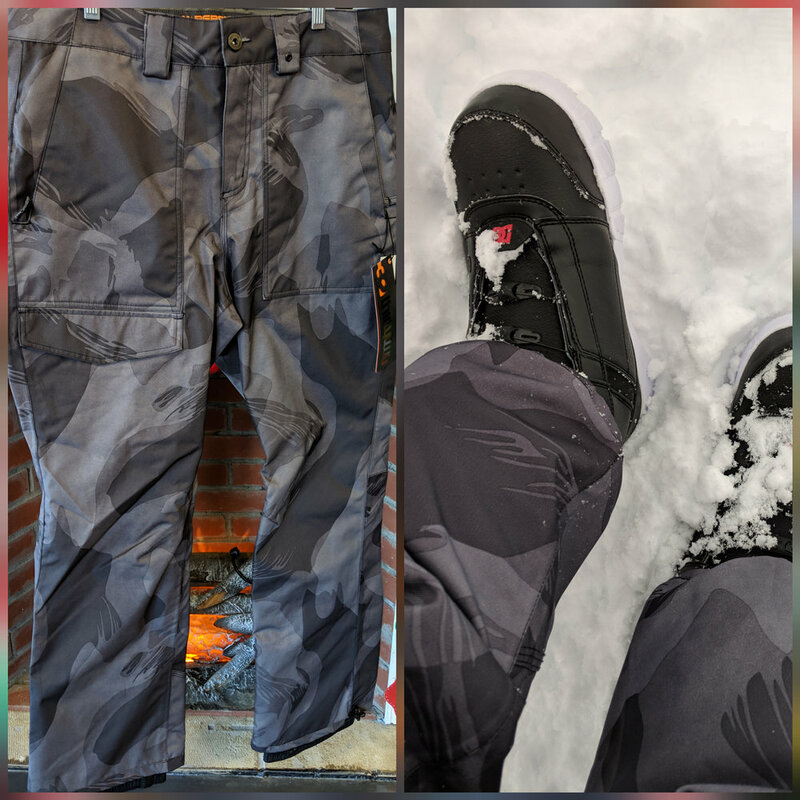 Pants that sinch so you don’t get them caught in your bindings or drag them across the lot. Misfits… no more description necessary. War Pig, designed for powder but destroyer of all terrain. PXV, more peripheral degrees than your eyes can handle. Snowboard equipment is expensive, i get it. But snowboarding has inherent risks involved in its participation and you NEED to make sure you are participating on safe equipment. This year in particular i have seen a rash of unsafe equipment brought into the shop that people have purchased at local swaps. Equipment that never should have been sold in the first place, and that paying any amount of money for would have been too expensive. 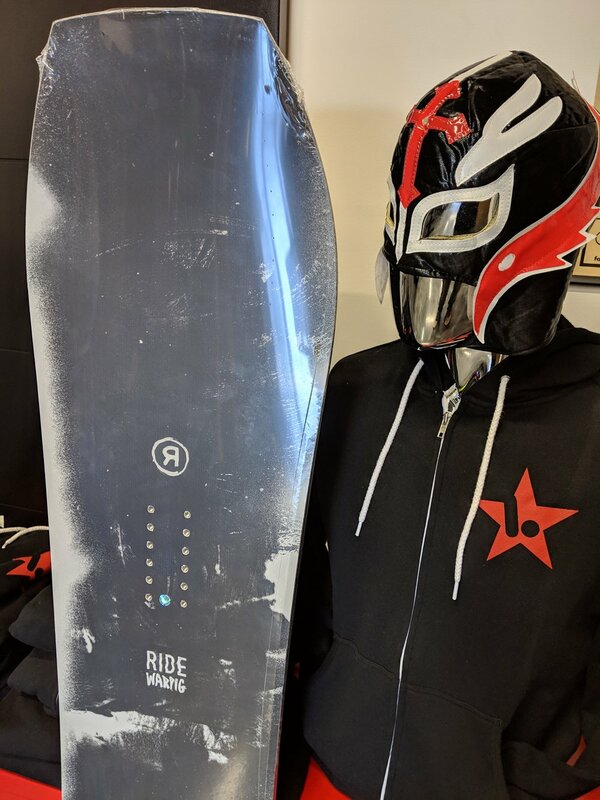 If you have a child interested in snowboarding but are not ready to spend the money on a new snowboard set-up i highly recommend renting at first. All the mountains have rental shops and renting when you go up that few times for the first season to see if your child enjoys it and will stick with it is a safe and affordable way of assessing their interest. If after a season they are still excited about snowboarding, then go to your local shop and have them help you pick out a set-up that will work for your rider. There are plenty of well priced options, but dipping below a certain point is done at the expense of safety. -Board that in addition to being over 10 years old (a GNU without magne-traction is how old this was) that looked like someone tried to wax it with their mom’s Yankee Candle - that snowboard wasn’t going to go ANYWHERE on the snow. - Countless “over the foot” toe-strap bindings. This toe-strap style has been out of product lines for much of this millennium and is a sure sign of a set-up you shouldn’t pay any money for. Even more than the tech being old is that the gear itself is now outside of it’s lifespan and the plastic recipes used in that era are now at a age that is likely to crack and break in cold situations. - Franken-bindings! It’s never a good sign to see mis-matched pieces on bindings. It means that stuff has broken on them before and you can only assume that things will continue to break on them. A sure sign they are passed their usable lifespan and are now a safety concern. -Grossly incorrectly sized gear. Those of us who own snowboard shop do so because we love snowboarding and we genuinely want to see others participating and enjoying this activity. Beyond the safety concerns of riding improperly sized equipment is the worry that frustration will end up turning someone excited about snowboarding away from the board forever. The wrong gear makes learning and riding more difficult. A low priced set-up at the swap may not be the right size for your rider and add to the difficulty of entry into the activity. -Brand WHAT?!?! i’ve been snowboarding since before they let us at the resorts. Even if i haven’t ridden them all, i’ve at least heard of most every brand to have entered the realm of snowboarding. Well this year i saw a complete board and binding set-up made by a company i’ve never heard of before. This was an old set-up, mind you, not some brand new company that may have been a start-up. There were all kinds red flags on that thing. Snowboard is fun. That’s it. Anything that gets in the way of that one goal is a problem. 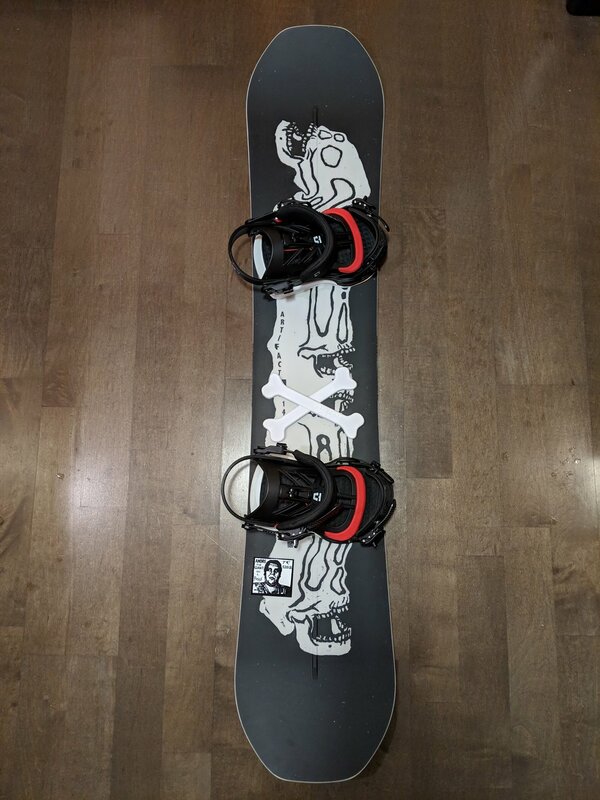 Spending $250-300 getting a board, boots, and bindings at a swap that will lead to rider frustration and safety issues is not worth it, especially when there’s the possibility of getting into entry level new gear at reputable snowboard shops between $500-$700 that will last and be safe for years to come.